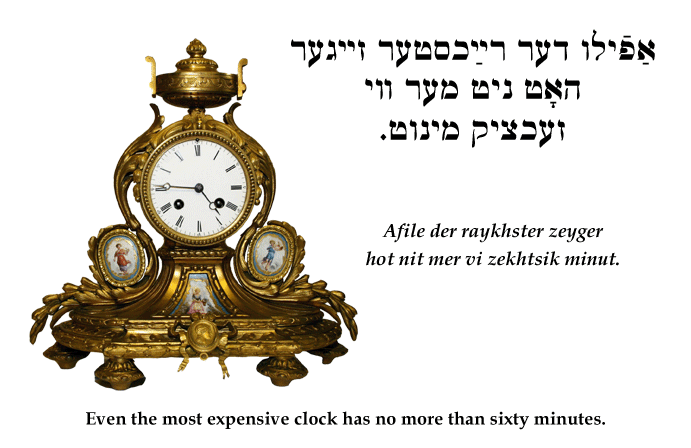 Yiddish Wit: Even the most expensive clock has no more than sixty minutes. ‏אַפֿילו דער רײַכסטער זײגער האָט ניט מער װי זעכציק מינוט. Afile der raykhster zeyger hot nit mer vi zekhtsik minut. Even the most expensive clock has no more than sixty minutes.